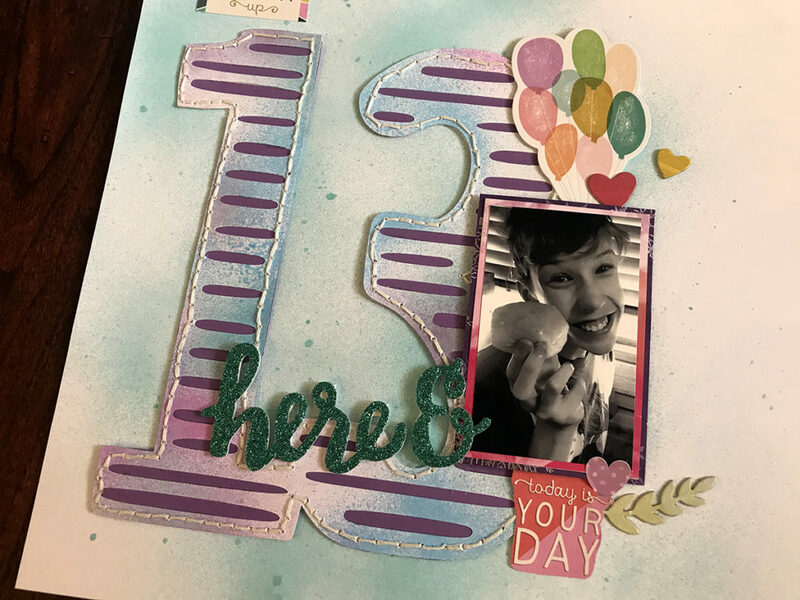 The moment I got the assignment I knew I wanted to create a BIG number 13 with my Silhouette Cameo. I backed it with purple because that’s my sons favorite color. I kept my clusters very small so the focus would remain on the big number as your eye moved around the page. 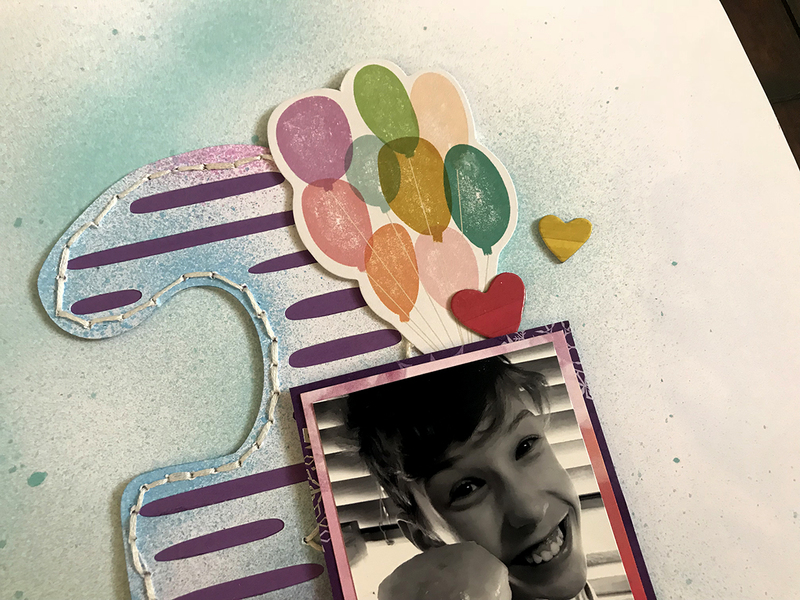 I love these cute embellishments and papers from Paige Evans Turn the Page collection. 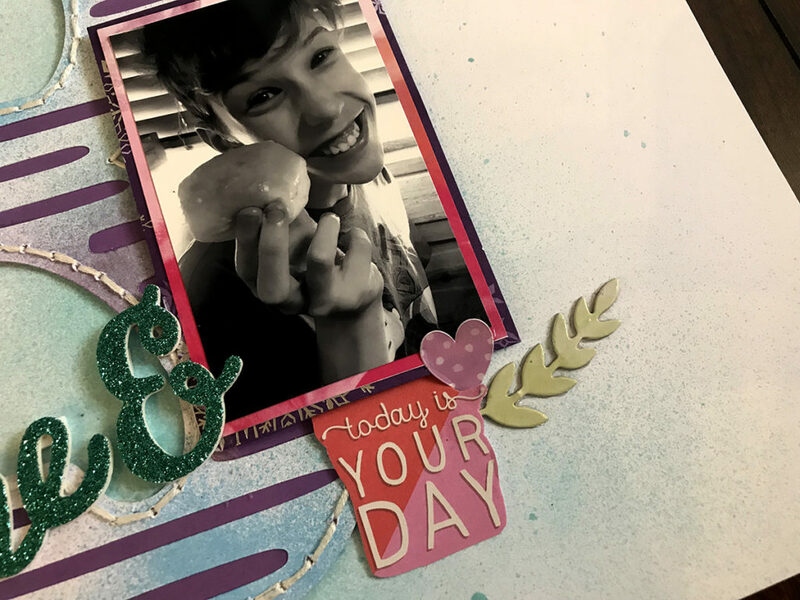 Of course I had to include this cute balloon ephemera on a birthday layout!! 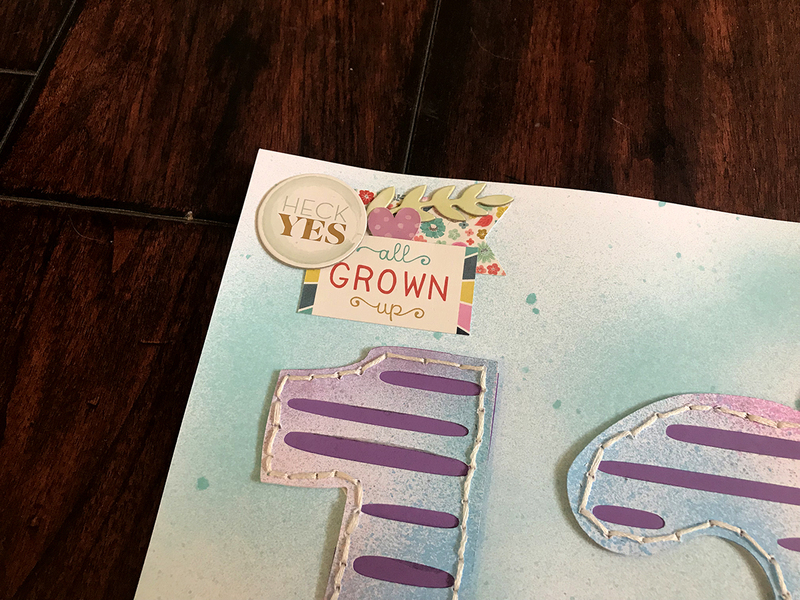 I love the pop of colors it adds! 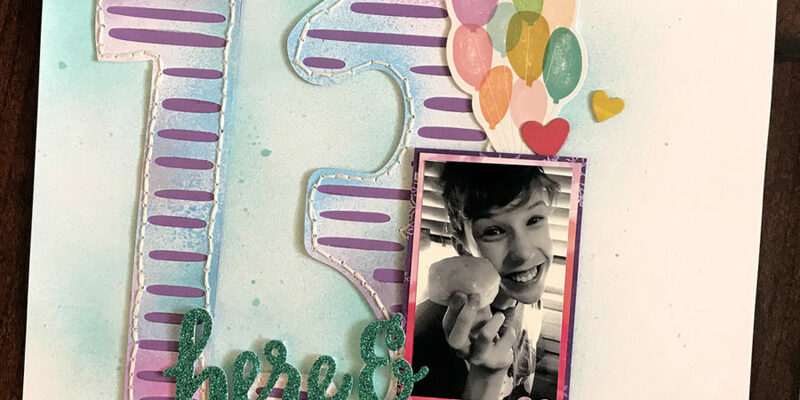 I can’t believe my first baby is 13!! It’s crazy! Thanks for stopping by!! Make sure to visit the Get it Scrapped blog!